La publicación norteamericana “I WINE REVIEW” en su número 43 de Julio/Agosto 2014 hace un repaso de los vinos de Rioja en el artículo: ” The Wines of Rioja – A new look”. En el siguiente enlace podreís ver las buenas valoraciones que Mike Potashnik y Don Winkler hacen de nuestros vinos. The North American publication “I WINE REVIEW” in his report 43 ” The Wines of Rioja – A new look” of July/August 2014 do a revision of wines from Rioja. 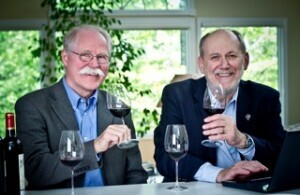 In the following link you can find what Mike Potashnik and Don Winkler´s think about of our wines.